Part of what makes AudioBody so unique is the technology featured in the show. 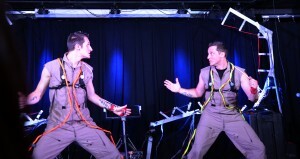 Brothers, Matt & Jason Tardy, are the masterminds, engineers, makers, and thinker-uppers of all the crazy contraptions. 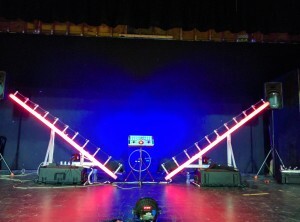 Hand made out of aluminum angle-stock, bungee cords, 150+ LEDs, and 200+ of feet of lamp cord; The Spine is the center piece of the AudioBody show. This instrument is essentially an electronic drum set that can be played by two people at the same time. It can trigger any sound imaginable and can change sounds mid song to expand it’s 20 triggers to an unlimited scale of notes. It’s unusual appearance is a great attention grabber, but is almost 100% functional. The entire drum set packs up into just one of the black road-cases that you see on the floor supporting it. One checked bag, please and thank you. 24 arcade push-buttons, 2 joysticks, and a big red button! 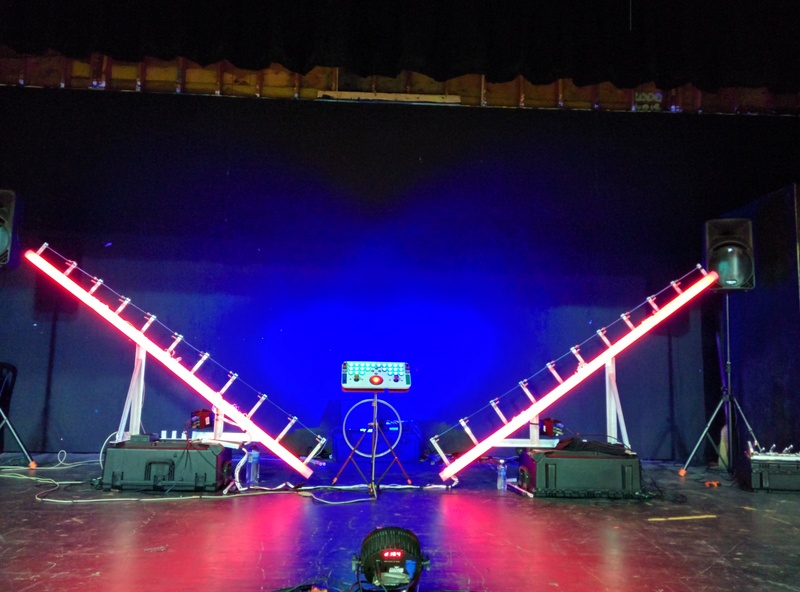 Big Red is a designated button for changing all of the lights and instruments to launch a new song/piece. 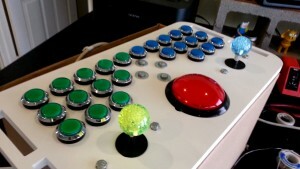 The other buttons can be programmed to play loops of sounds, synths, and sound effects. This controller along with The Spine patch into the computer by interfacing with a 56-input, I-PAC keystroke encoder intended for arcade consoles. Made 99% out of legos (minus an aluminum rod for support, and lots of Kragle). 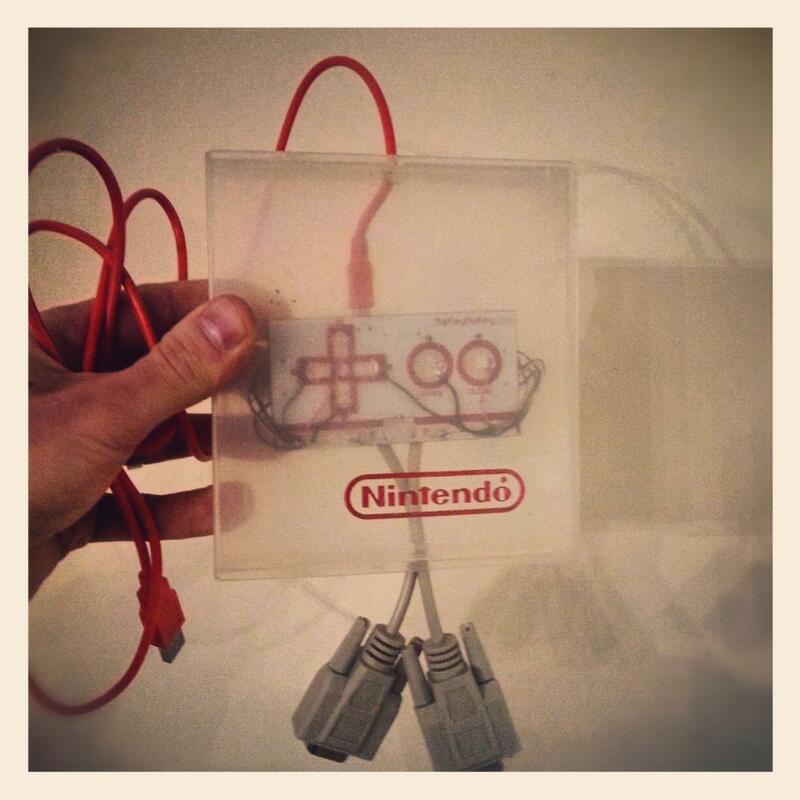 This contraption connects to the Arcade Controller. By picking up and setting down the weighted balls it moves levers that swing down and press the buttons underneath. 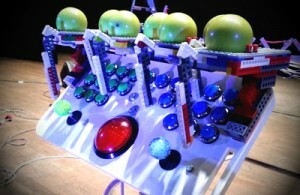 While each ball is lifted a specific loop of music will play. Each jumpsuit (more like a backpack with lots of wires) outfits the wearer with five triggers. One on the right hand, two on the chest, and one on each foot. The feet utilize vibration switches to fire signals on a foot stomp. The other triggers are hand made soft switches made out of conductive fabric, foam, and copper wire. Just like the rest of the instruments, these triggers can play any sound our heart desires, including musical instruments, robot sfx, and kung fu samples. 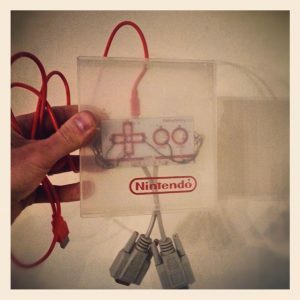 Makey Makey allows you to turn everyday objects into touchpads. Using this device we can transform a simple high-five with an audience member into a sound trigger! This uses the same technology as a touch screen on a phone (capacitance switch). 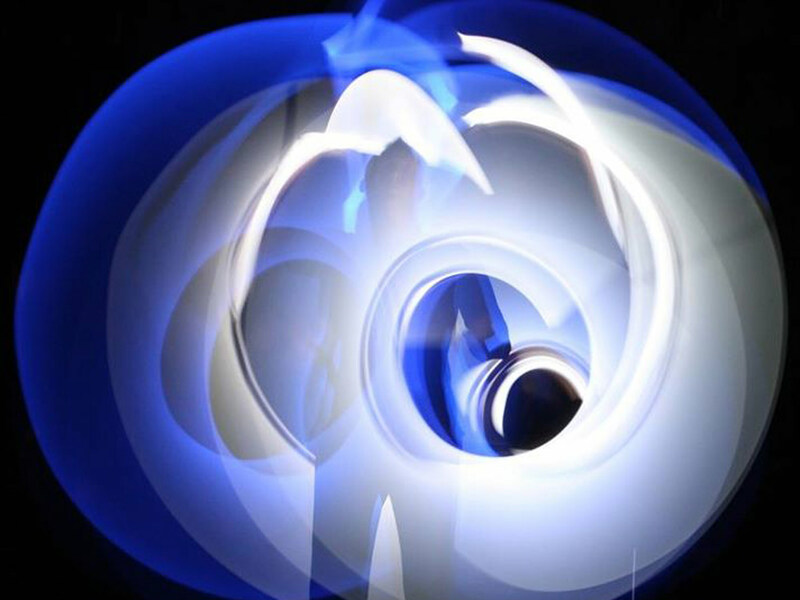 A very simple and lightweight design, these LED light tubes are engineered to change color using only centrifugal force. Here is a detailed video breakdown of how they work https://youtu.be/sIuS_M2xev8. We also offer interactive workshops for schools. Students will get a chance to build their own Light-Tubes and take them home at the end of the workshop. During the process, students will be challenged to problem solve, innovate, and learn from their mistakes.